I have been busy doing full branding for wedding photographer Lauren Kearns for the last month and her new brand is almost done! Lauren is a New Jersey wedding photographer with a timeless, classic style. I mean many of her clients ride horse drawn carriages to their receptions. Talk about class! I wanted to share my progress with Lauren so far so you can see how it all started. From our initial conversation I knew Lauren wanted a bold, but romantic brand similar to the infamous Justin & Mary. It took a few stabs to create the perfect ideal client for her and color scheme but I finally nailed it. For every full branding client I created a set of styled brand images. Here are a few of my faves and how I used them! Stay tuned for her new Showit website launch SO SOON!!! Ready to get started on your new brand? Contact me, Katie, today! 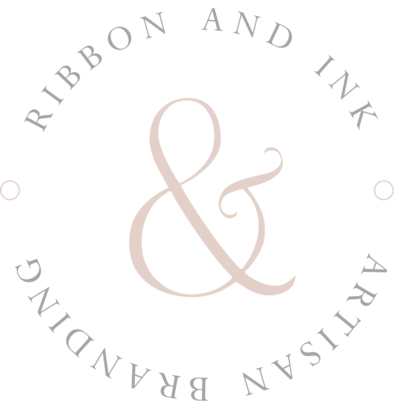 Ribbon & Ink is an artisan branding studio located in the Washington D.C. suburbs, that works with small, women-owned creative businesses nationwide.